Wood cabinets add timeless elegance and lasting value to any space. However, paying for all wood cabinets is an investment many homeowners and contractors just don’t have the budget for. This is why, at All Wood Cabinets, we’ve set out to change the cabinet industry in Kingsport, Blountville, Johnson City, and Bristol, Tennessee for the better with our quality, affordable solutions. The cabinets we build are made right here in the U.S. and are built to last. Whether you have plans to enhance your kitchen remodel with high-quality, stunning cabinets or you’re a contractor looking for affordable cabinet solutions for your clients, we guarantee that we’ll go above and beyond your expectations. We are a custom cabinet shop located in Western North Carolina since 2006. I have had so much fun in my career and have been a professional woodworker since 1976. 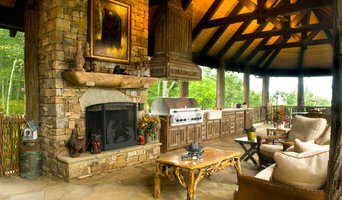 We currently do residential and commercial custom cabinets, architectural millwork, and high end furniture projects. We have a very well equipped shop with currently about 50 machines on our production floor. Because of our equipment we also do a lot of work for other woodworkers and instrument makers in the Asheville area. If I can draw it, we can build it! Serving the High Country of North Carolina, we specialize in custom and semi-custom cabinetry for residential and commercial projects. We also offer in-house design and installation services. 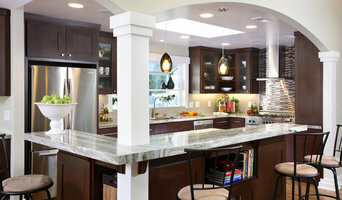 Preston Woodworking manufactures and installs commercial and residential cabinets and countertops. 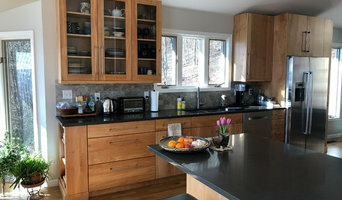 We are a company of creative designers, skilled craftsmen, and conscientious customer support personnel - all dedicated to fulfilling your cabinet and countertop needs with superior quality and gracious service. 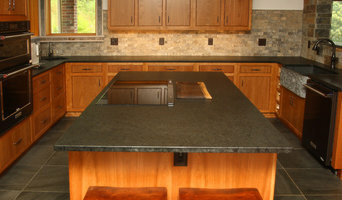 We are the region's top fabricator and installer of granite countertops. No other company located in the Tri-Cities, Tennessee region can match our in-house facilities to create the precise style and quality you want for your home or business. If you want to eliminate the middleman, this is the place to start! 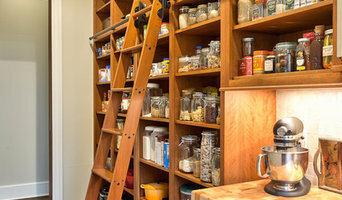 In addition, Mars Hill, NC cabinetry pros can help you give worn or dated cabinets a makeover. They can replace doors; add glass inserts, decorative moldings and other details; or give cabinetry a new coat of paint or specialty finish. Your cabinetry professional might work closely with a North Carolina kitchen designer, builder, remodeling contractor or interior designer. Here are some related professionals and vendors to complement the work of cabinets & cabinetry: Kitchen & Bath Designers, Kitchen & Bath Remodelers, Interior Designers & Decorators, Closet Designers and Professional Organizers, Woodworkers & Carpenters. Find a cabinetry professional on Houzz. Narrow your search in the Professionals section of the website to Mars Hill, NC cabinets and cabinetry. You may also look through North Carolina photos to find examples of cabinets that you like, then contact the cabinetry professional who worked on them.